What’s small enough to jam into a lunchbox? 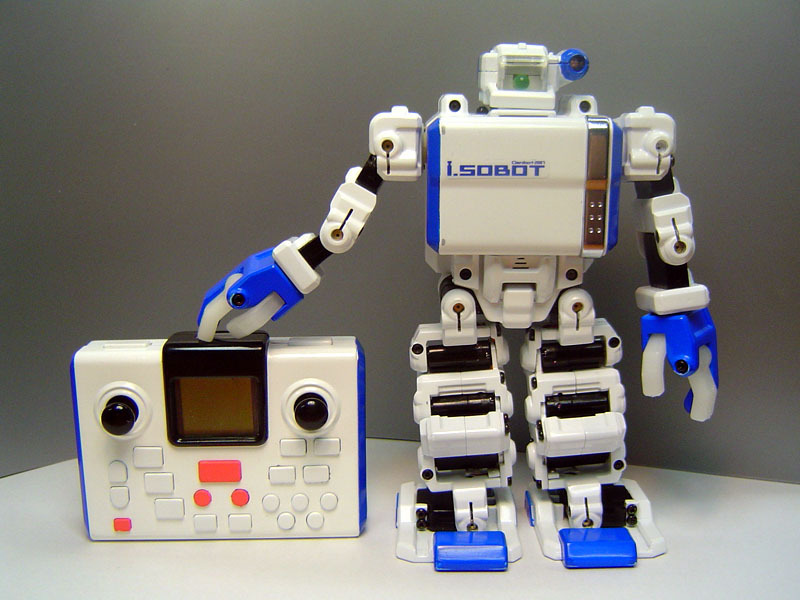 Tomy’s upcoming i-SOBOT is. Measuring 6.5 inches high and weighing 12.3 ounces, i-SOBOT is dubbed the world’s smallest two-legged walking robot. According to Reuter’s report, it can “play drums, dance along with music, do press-ups and pick itself up when it falls.” Tomy projects that they will sell 50,000 units in Japan and 250,000 overseas, selling at a price of $260. It will be sold completely pre-assembled, not as a kit. 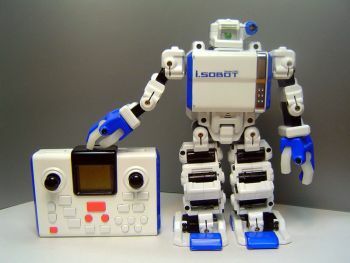 There are five operation ‘modes’: direct control mode using the remote; a 20 block program mode; special action mode with actions like playing an air drum; voice control mode with some speech recognition capability; and dance mode where the robot moves in response to the sounds it picks up. Initial sales will be in Japan via toy specialty stores, hobby goods retailers, and internet sales. The Japan sales target is 50,000 units. Overseas sales are under consideration with a worldwide sales target of 300,000 units. The camera for the CAMVersion (shipping in October) is 300,000 pixel. This entry was posted on Wednesday, January 24th, 2007 at 3:24 pm	and is filed under New Kits / Products. You can follow any responses to this entry through the RSS 2.0 feed. You can leave a response, or trackback from your own site.